Save up to 10% on your energy bills! 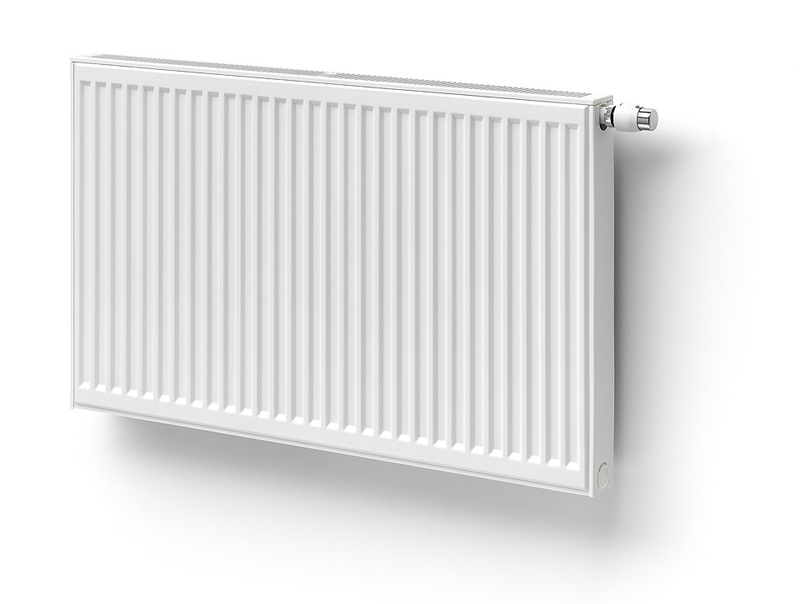 Unique to the Stelrad ECO radiator is the concept whereby hot water flows directly into the front element first, giving it a higher temperature. This delivers more radiant heat, enhancing your feeling of comfort. 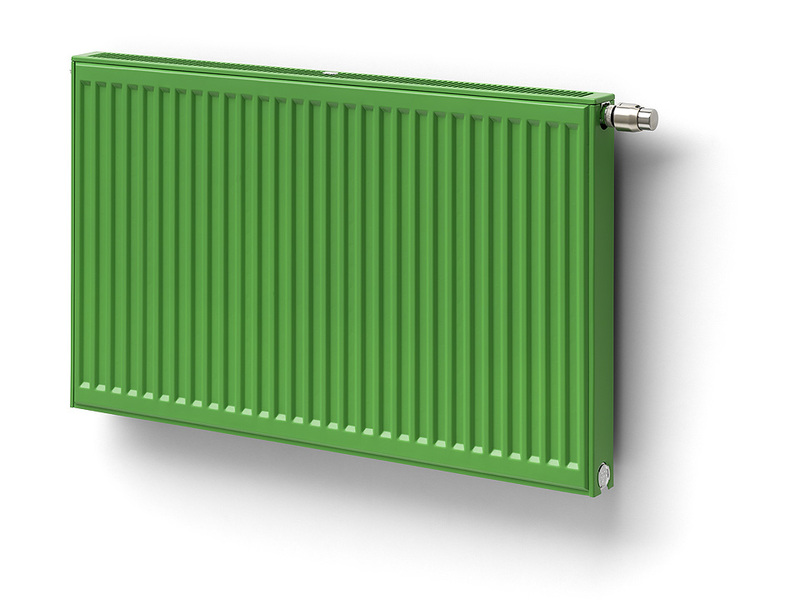 As a result of the increased radiant temperature at the front of the radiator, the rear-most element is a little less warm than with other radiators. This means there is less radiant heat lost through the wall via the back of the radiator. Altogether, this means an increase in your feeling of comfort, a reduction in your energy bills, an increase in the efficiency of your heating systems and a reduction in CO2 emissions. 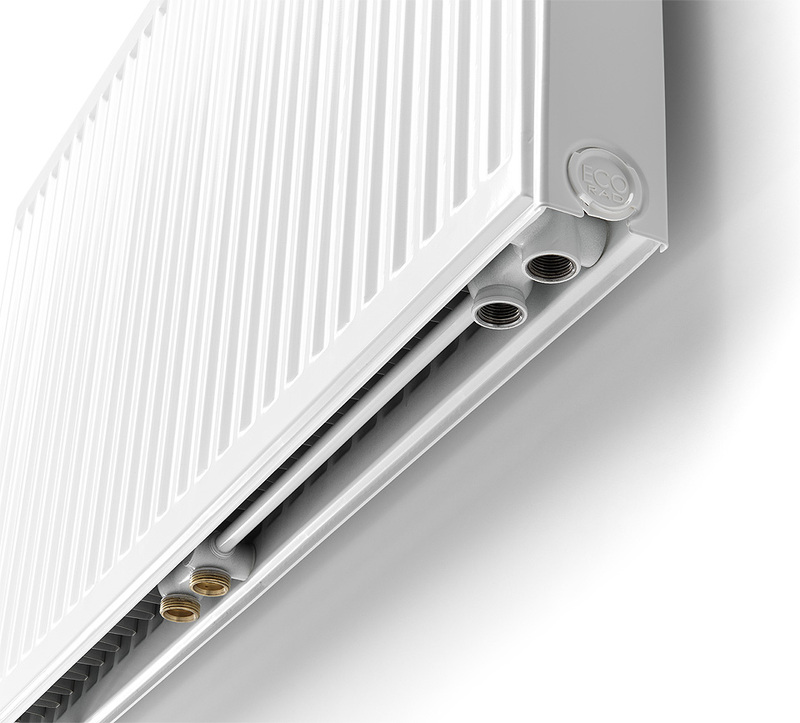 Why opt for a Stelrad Novello ECO radiator? How does the ECO technology work? 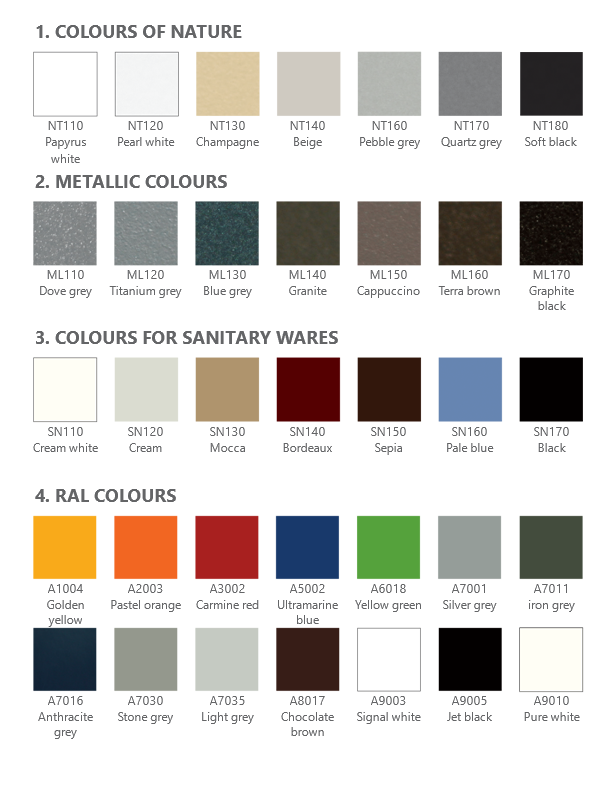 • Why opt for the ECO radiator? 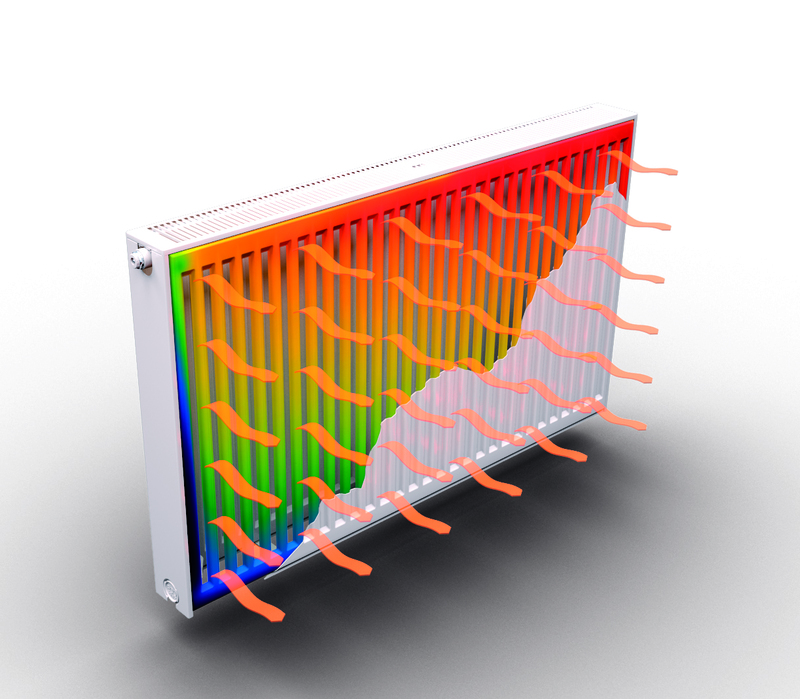 Low-temperature panel radiator made from high-quality steel, with serial flow technology (water flows first through the front panel). This results in high energy efficiency, maximum radiation (even in low-temperature heating systems), faster heating rate and less waste of energy. 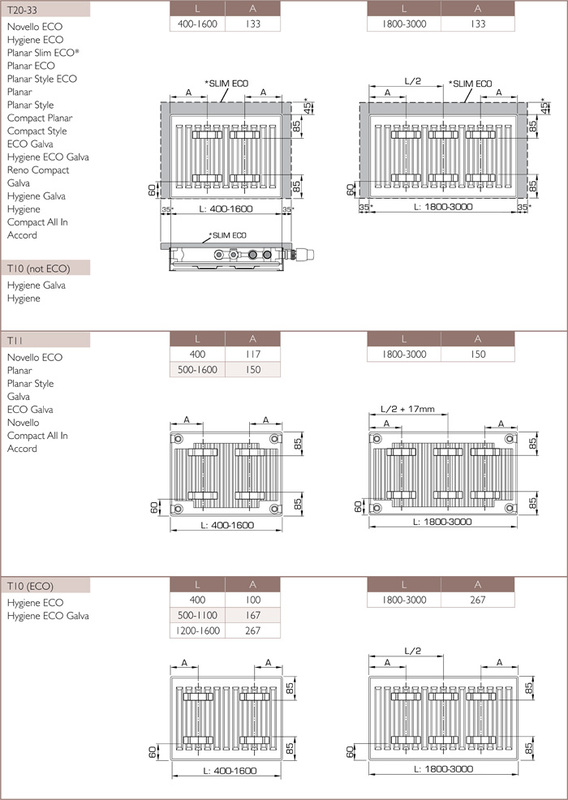 The integrated adjustable valve (without thermostatic head) is factory-fit on the right side of the radiator, CEN certified, tested in accordance with EN215 and compatible with thermostatic heads M30 x 1,5mm. 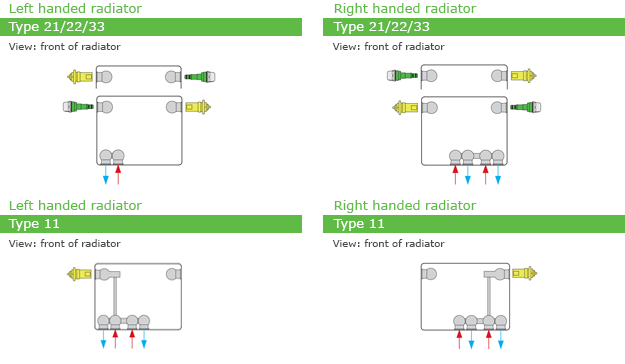 For types 21 – 22 – 33 can the valve insert also be fitted on the left side of the radiator, a left version for a type 11 radiator is available on request. 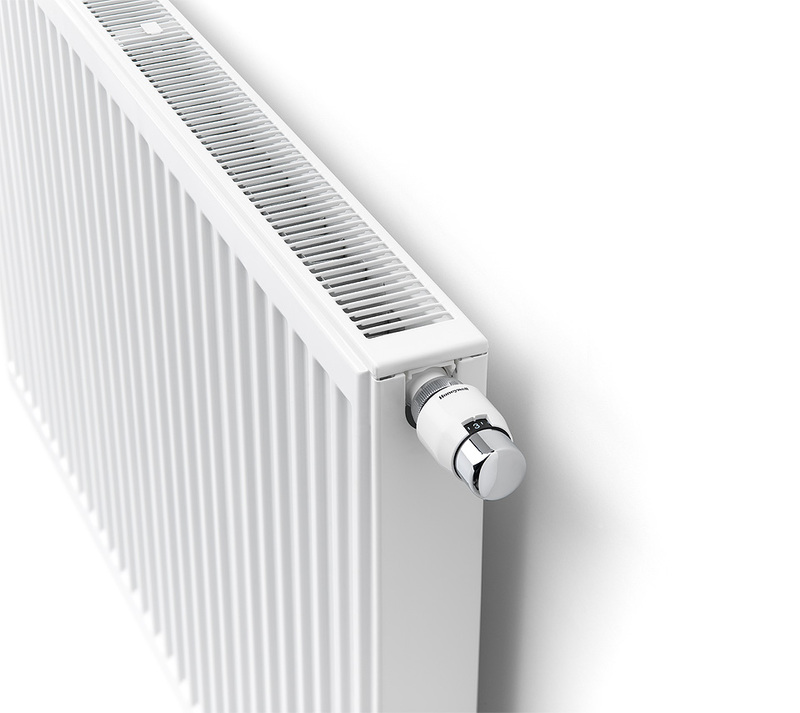 The thermostatic valve insert is factory-set in relation to the size of the radiator. 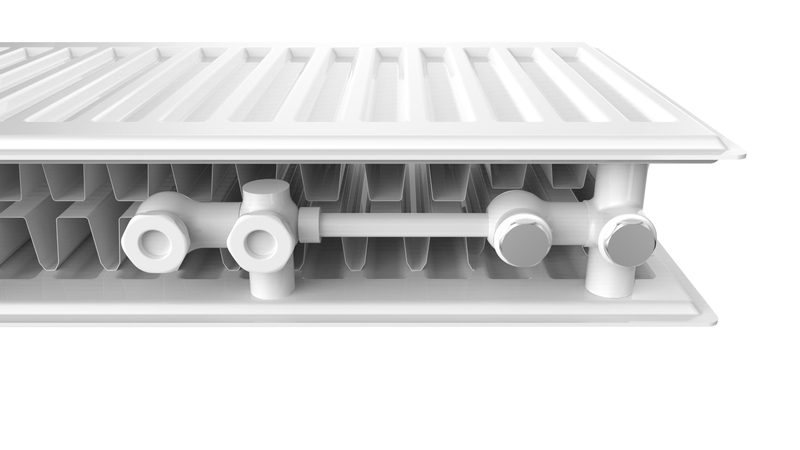 This pre-setting ensures optimum throughput in the radiator. 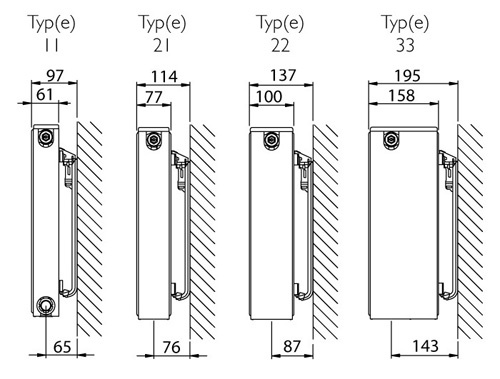 Factory setting for two-pipe systems, also suitable for one-pipe systems (as long as the valve insert is adjusted to position 8). 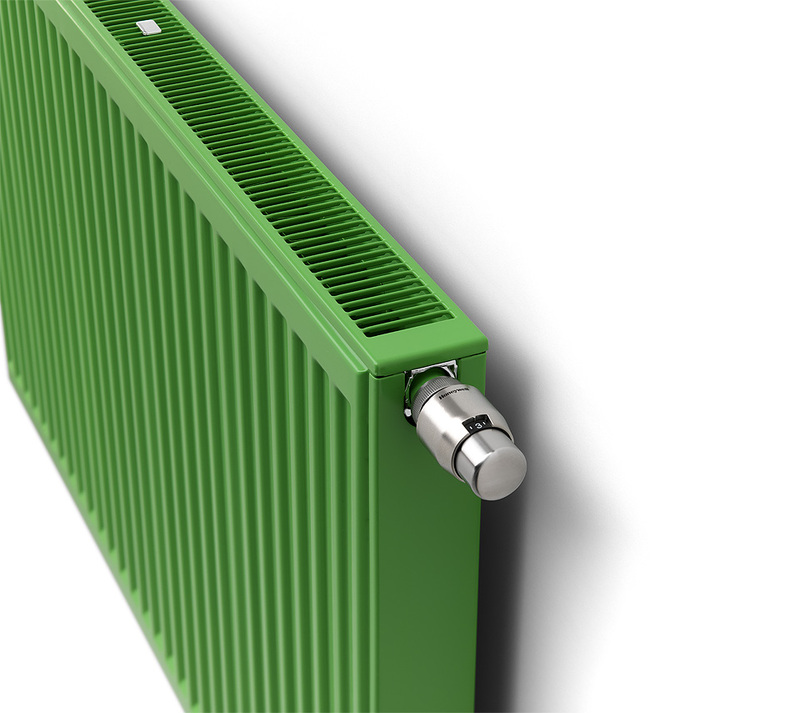 Important notice for ECO radiators: The green ECO air vent is essential for the proper working of the radiator and cannot be replaced by a traditional air vent as the radiator will keep on heating.